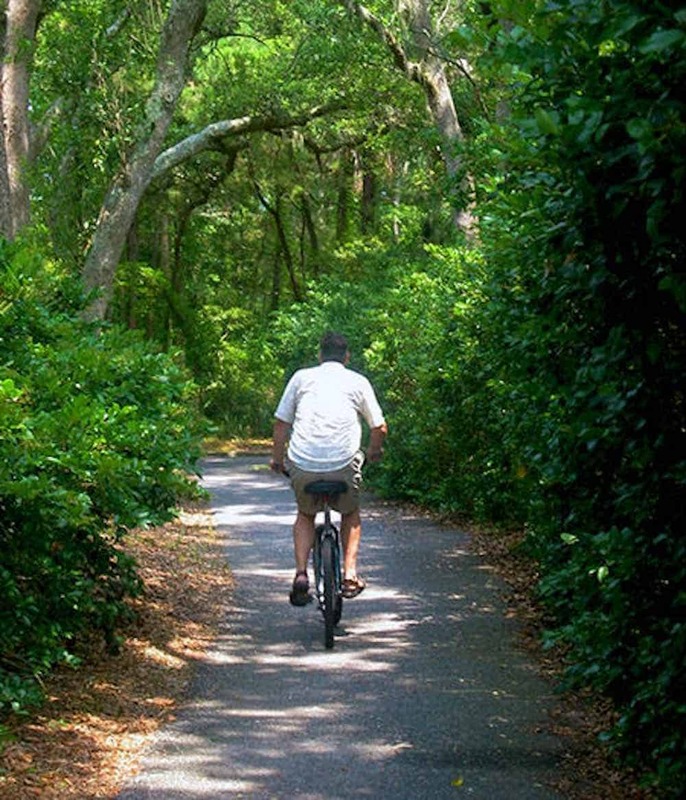 Learn more about our favorite biking paths on Kiawah Island. 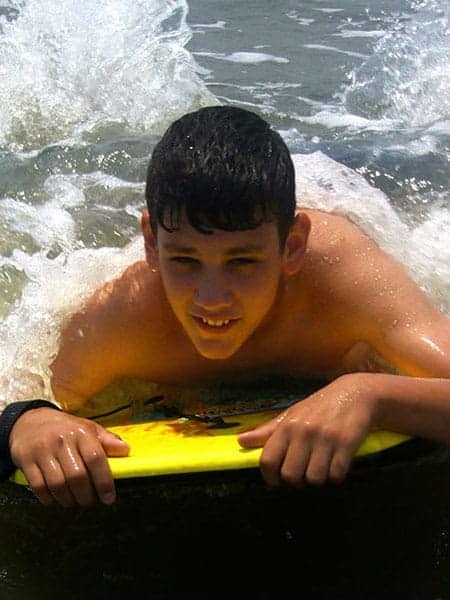 Don’t miss out on Kiawah’s two main activities – Beaching and Biking!! 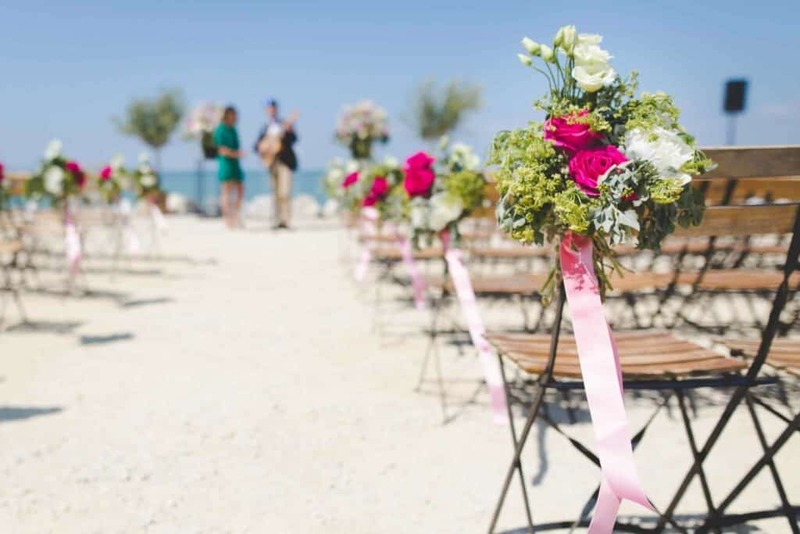 With over 30 miles of bike paths and 10 miles of uninterupted pristine beach, these rentals will help you enjoy both!! Biking on Kiawah is A MUST for a relaxing, well-rounded Kiawah Vacation. Kiawah offers over 30 miles of flat, paved biking trails that meander all over the island. Also – you’ll want to explore the beach by bike – just point your bike in the direction of the wind and you’ll practically sail down the beach. Return home by taking a bike trail. In each property, we provide you with a laminated map of Kiawah that also shows the bike/leisure trails. There is also a 1.5 mile bike path that extends from the front guard gate out to the Freshfields Village shopping center. Be sure to rent bike baskets along with your bikes if you plan to bike out to the grocery store or do other shopping by bicycle. These items will be ready and waiting for you when you arrive on the island. 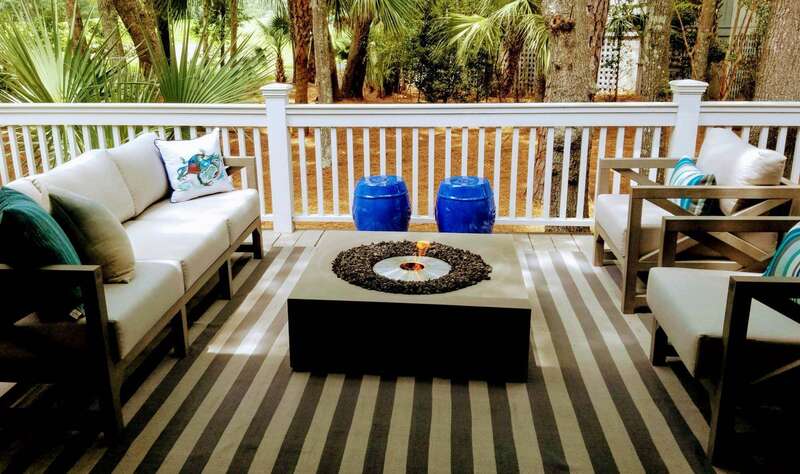 Note: These items are only available to guests renting accommodations through Kiawah Island Getaways. Tag-Along – The Tag-Along Bike attaches to an Adult Bike and makes bike trips fun and accessible for the entire family. 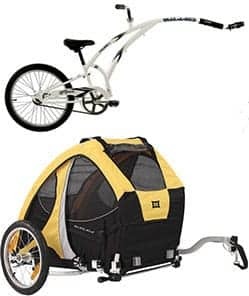 Ideal for 4- to 6-year-old children who have outgrown the Burley Trailer (see below), but who can’t keep up on their own bikes yet. The Tag-Along Bike allows young children, up to 85 pounds, to pedal along with the grownups and bike farther than they could on their own bike. Burley Trailer for your Toddlers – a Burley is a trailer that attaches to an Adult Bike and carries up to two small tots (up to a combined weight of 100 lbs).